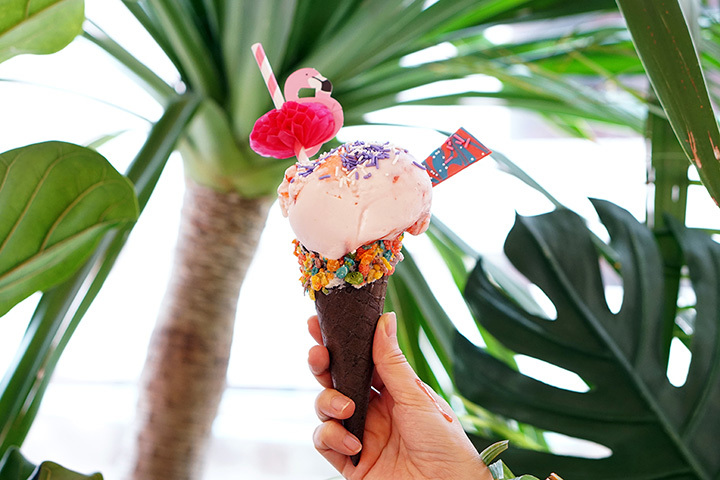 With temperatures in the Sunshine State reaching incredible heights, there’s no better way to cool off than with the delicious treat of ice cream. Whether you’re searching for old-fashioned parlors serving up the classics or newer shops offering the latest and greatest in innovative flavors, these 10 spots in Florida will surely satisfy. This old-fashioned ice cream parlour in Dania Beach will have you feeling like you’ve stepped back in time. With flavors like the rich Death by Chocolate and fruity black cherry, there’s a perfect scoop for anyone! Looking for a fun and innovative way to get your ice cream? Abracadabra in Kissimmee flash freezes your cream right in front of you using liquid nitrogen creating your own custom scoop. Love Boat is one of those tasty ice cream spots that always has a line, that’s how good it is! Try one of their two southwest Florida locations for a massive scoop of your favorite sweet flavor. Classic dipped cones are found at this tasty Jacksonville spot. Whether you enjoy chocolate dipped soft serve, lots of sprinkles or a filling banana split, you won’t be disappointed by any of the choices on Dreamette’s menu! If you’re hoping to find ice cream with a little bit of authentic Cuban culture, try out Azucar Ice Cream Company in Miami. Their flan, plantano maduro and abuela Maria flavors are local favorites you’ve gotta try! What better way to cool off after a relaxing beach day than with a cold scoop of your favorite flavor from Larry’s in St. Pete! Here you’ll find freshly made waffle cones, Italian gelato, frozen custards and other sweet treats to indulge in. Hudson Beach Ice Cream Parlor is a family owned establishment serves up homemade sherbets, Italian ices and of course, ice creams! Pair your scoop with a tasty hot dog for an authentic diner-style meal. Heading to Frozen Gold after surfing the NSB waves or lounging in the sand is a tradition for locals on the east coast. Grab a shake or cone from this shop and you’ll want to come back soon. Known as the oldest homemade ice cream spot in the area, Royal Scoop is almost always filled with hungry customers looking to satisfy their sweet tooth. If you like fruity or chocolaty flavors, you’ll have a ton of options to choose from. This Brandon based ice cream shop isn’t your typical parlor. With traditional flavors and unique tastes you can’t find anywhere else, there are selections for adventurous and old-fashioned palettes. Try the “Best Dang Vanilla” or “Callie’s Hotcakes” flavors!